King Willem-Alexander and Queen Maxima attended a performance at the National Opera and Ballet in Amsterdam on Friday, part of a special commemoration of the work of the choreographer Hans van Manen. 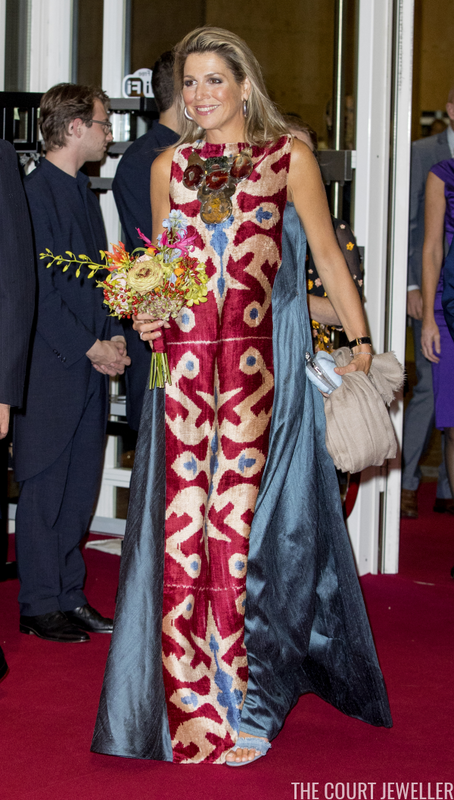 Maxima chose a very statement-making ensemble for the event, including a vibrantly printed dress and oversized jewels. Large silver-toned hoop earrings and an enormous statement necklace were Maxima's choices of accessory for the evening. 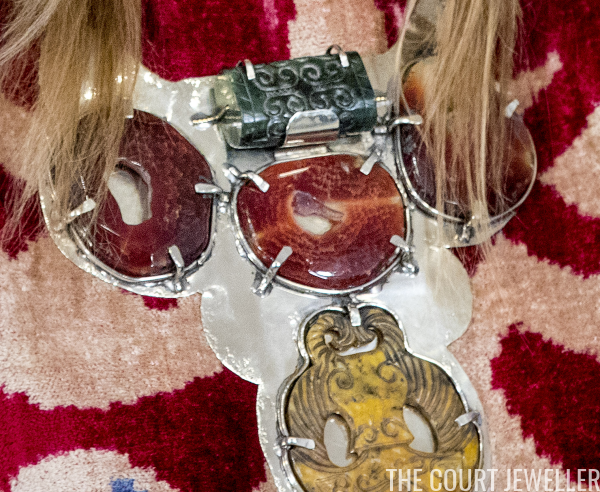 Here's a closer look at the necklace, which manages to seem simultaneously modern and ancient. The dress stands out in these photographs, but in the rich red interior of the opera house, the gown would surely have blended in well with its surroundings.